Cuba was not ready for the absence of Fidel when he got sick in 2006. Not because they did not have confidence in Raul or the Party’s leadership. Fidel was very special. First, think about his influence over Turkey or any other countries, and then try to see what he means for the Cubans. The point is not simply ideological despite being so basically; yet, Fidel always gave confidence and aroused respect even among those who were not contented with socialism in Cuba. I am talking about the Cubans, neither about the flunkeys of imperialism nor those treacherous figures who are fostered by the CIA. 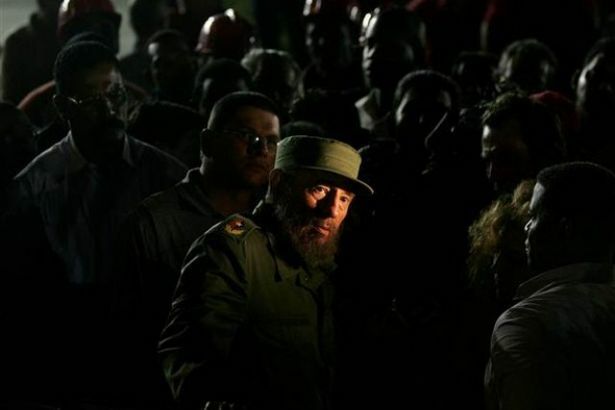 Now there is no harm in saying that many authorities in Cuba did not believe that Fidel could have recovered from his illness a decade ago, endeavouring to prepare the country to meet this natural but hard-to-accept end “calmly.” They were too much worried. Besides the Cuban doctors, Fidel’s unwavering will came into play again; thus the society became accustomed to the absence of el Comandante, and complied with Raúl's distinctive style. Let alone his life, he doubtlessly died as a revolutionary. He was a revolutionary who had confidence in his people when he started to a fight fostered by deep ethical foundations against the cruel dictator who had become a hate figure. The people had confidence in him when he entered Havana as a commander of a triumphant armed force at the beginning of 1959. He proceeded from anti-Batista stance to challenging imperialism, and from anti-imperialism to communism. He had no regrets at all; Fidel’s becoming a Marxist-Leninist had an extremely natural inner evolution. An advanced sense of justice and quest for equality could not be reduced to the ouster of Batista. Left-oriented inputs of Che and Raúl, deep problems led by the private property of the means of production in Cuba, and the US administration’s fanaticism were all amalgamated with Castro’s emerging philosophy in the mountains, thus a real “leader” was born. A leader in the full sense of the word. A communist and revolutionary. When the Communist Party of Cuba, which did not play an insignificant yet a much more modest role in comparison to the 26th of July Movement in the Cuban Revolution, offered the leadership of the Party to him as saying “only you deserve this,” no artificiality or any scam of protocol were in question, either. Fidel reached communism by his own way, not by clichés. He may have done some wrong things, we do not have to agree with everything he said or wrote. However, who can say anything about his life, his values and insistence on socialism? He delivered long speeches, too lengthy ones. His speeches were real and revolutionary, not such ones prepared by consultants. He never narrated his struggle during the speeches; his speeches were a struggle in itself. I do not speak or understand Spanish; still I could spectate Fidel without getting bored for hours without simultaneous translation since he was overcoming the language handicap with his gestures and mimics. Because he believed in what he said. He wrote too much, especially in his late times. He believed in what he wrote; you like or not, he was always honest, he never pretended. Moreover, he did not write in vain. During this existing age, it is an ethical problem that those who have no intellectual depth and knowledge have influence on the lives of others. Bourgeois politics promotes only such figures as “leader” before us. In revolutionary politics, on the other hand, such shallowness would be an unpardonable misdeed. Retrospectively, such figures have also existed “on our side”. Many “great” powers ran off the track since such colourless, mediocre and vulgar caricatures were tolerated; whereas history perhaps does not record the tragedies experienced in “smaller” scales, yet they are misdeeds, too. In this context, Fidel has been an opportunity for Cuba and humanity. We may utter many things on the role of individuals in history; but if we use our right to compel the limitations of Marxism in some examples, we can make our preference in favour of Fidel. A Cuban Revolution without Fidel? Let’s suppose that the Cuban revolution could have happened in the absence of him. But it would be impossible for Cuba to resist the Gorbachevite counterrevolution without Fidel. Mikhail Gorbachev belittled the “leaders” of the socialist countries he visited as calling them “outdated,” he ordered them to “change;” and in following weeks, the agents of the CIA and the KGB made moves from different wings, thus leading to the downfall of the people’s democracies in the Eastern Europe one after another. Alongside the chair he occupied, Gorbachev’s dominant personality was also influential in this operation. He went to Cuba with this confidence, but he learned his lesson there. Fidel taught him a lesson, because he was hard-working all the time. A rector of the “Party School” of the Communist Party of Cuba said smilingly at one occasion: “Fidel, too, participated in a lecture on the desk you are sitting now.” He did not feel humiliated when he was learning, he did not sham, and he did not pretend to be an unmistakable man.